During all 2019 school holidays book The Mermaid London’s ‘Delegate Playground’ offer of £55+VAT, which includes your room hire from 8am to 5:30pm, buffet lunch, three servings of tea, coffee and biscuits, and audio-visual setup including screen, projector, lectern and microphone. * *Terms and conditions apply. Minimum numbers of 100 apply. Offer cannot be used in connection with another offer. Once home to a fully functioning theatre, The Mermaid London, situated by Blackfriars bridge in the heart of the City of London, is now a vibrant, versatile and blank canvas conference and events venue for consumer and corporate events. The venue has nine flexible spaces and can cater to as few as 80 people up to the maximum capacity of 1,992. 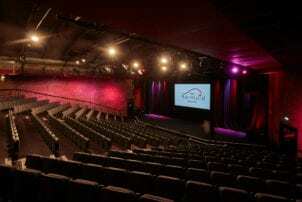 At the heart of the venue is the Auditorium, the only 600-seated auditorium in the City of London. With unrivalled sight lines to the stage, state-of-the-art sound and audio-visual capabilities and matches conferences, product launches, live productions and even banquets perfectly. For a versatile blank canvas space, the River Rooms, home to the Upper River Room, Lower River Room and Queenhithe, offer clean lines and an open-plan layout with spectacular panoramic views of London iconic landmarks such as Tate Modern, Shakespeare’s Globe and The Shard. The River Rooms is ideal for smaller conferences and meetings and private parties and weddings. The Mermaid London has been a leading events venue for over twenty years and they believe making the right impression makes all the difference, from immaculate attention to detail, versatile event spaces and a diverse offering, we’re committed to ensuring that every event is an outstanding success. So, why not build the perfect environment to play, laugh, think, shout, work, learn, create and bond at The Mermaid London.